This past week celebrated National Cake Decorating Day and we thought we would showcase a few wedding cake decorating ideas from our Pinterest page. 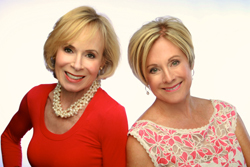 There are so many ways to add your own style,and touch to your wedding day. 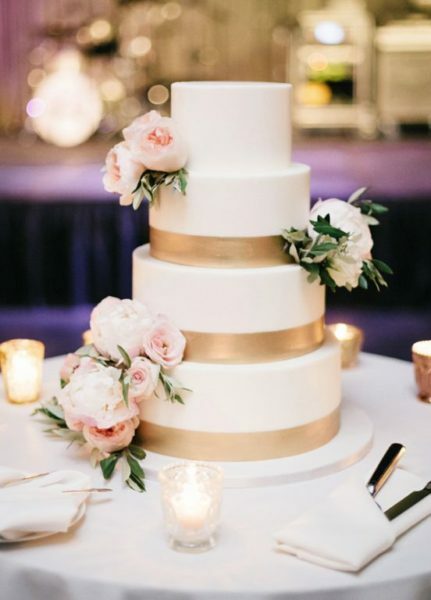 One way to personalize your event is of course your wedding cake! 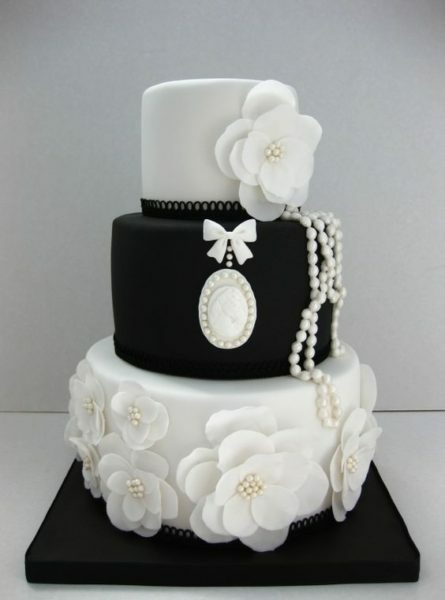 Whatever color, size, shape and theme you choose there will certainly be a wedding cake to suit your budget and style. 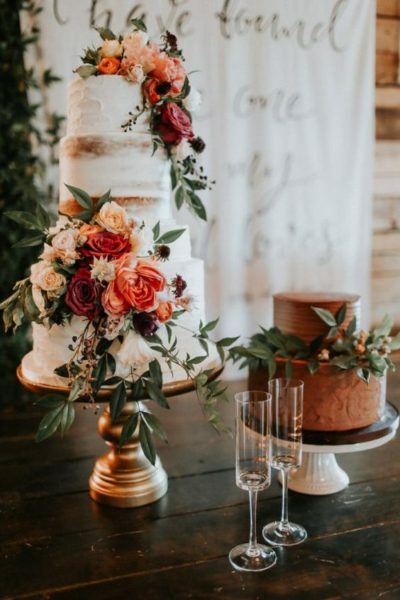 However, couples today are adding many other dessert ideas to finalize their meal, but we still think the wedding cake is such a wonderful tradition to keep. Here are some of our Pinterest Wedding Cake Ideas that we love! This one is from elysiarootcakes.com. 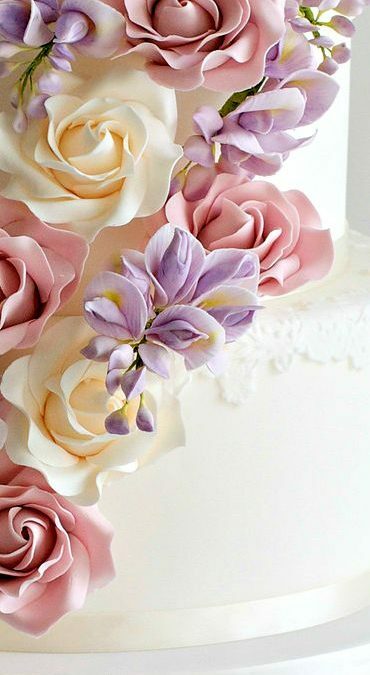 Note that it combines ribbon with decorative flowers on each layer. And here is a spectacular one with the perfect flower touch sliding from the top down. This one is from www.amycakes.com. Also note the way the icing has been finished off. 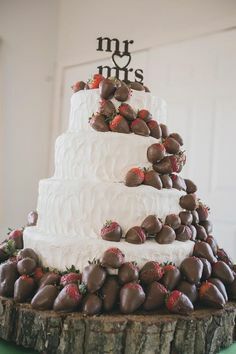 Since I love berries so much this would be an ideal choice for me with a slightly bare wedding cake. A perfect touch! 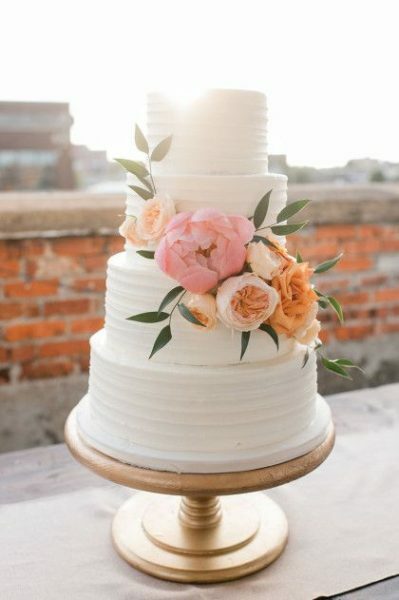 Another favorite inspiration is from an article in www.junebugweddings.com, which showcases two wedding cakes for your dessert table. 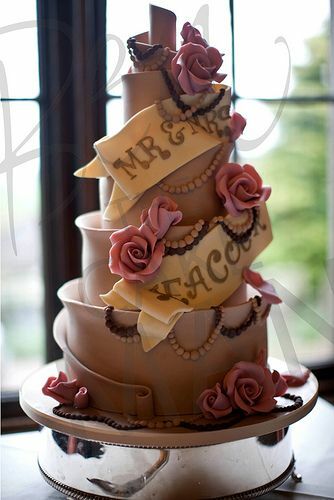 One very elaborate cake complimented by one slightly bare creation, both of which compliment each other! 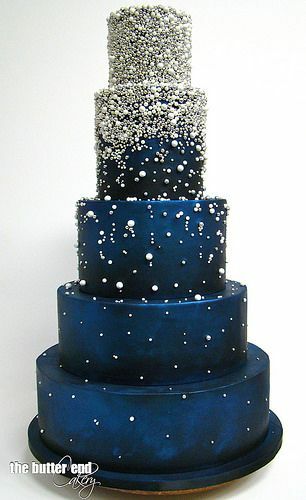 If you have a navy and white color theme for your wedding, how about choosing a cake that incorporates both colors? Then add a sparkle of silver and white frosting dots to add some glamour and sparkle to your dessert table! Another look combines a stripped banner with your names on it and Mr. and Mrs. to commemorate your wedding day and topped with sugared decorative flowers. Our final suggestion from our Pinterest page is the newest trend in wedding cakes…adding Holograms! AMAZING!!! One of the most creative ideas is having these holograms projected onto your cake. Sometimes they even move. 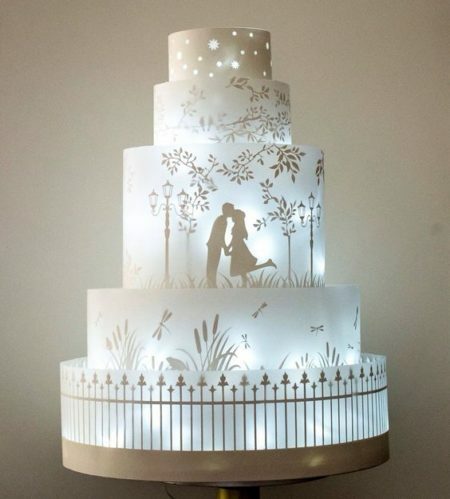 They are so beautiful and just are the perfect way to tie in your wedding story and theme even more. However, I think this idea works better on larger cakes. 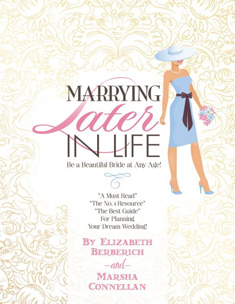 Please check out these ideas and more on our Pinterest page on our website www.marryinglaterinlife.com. 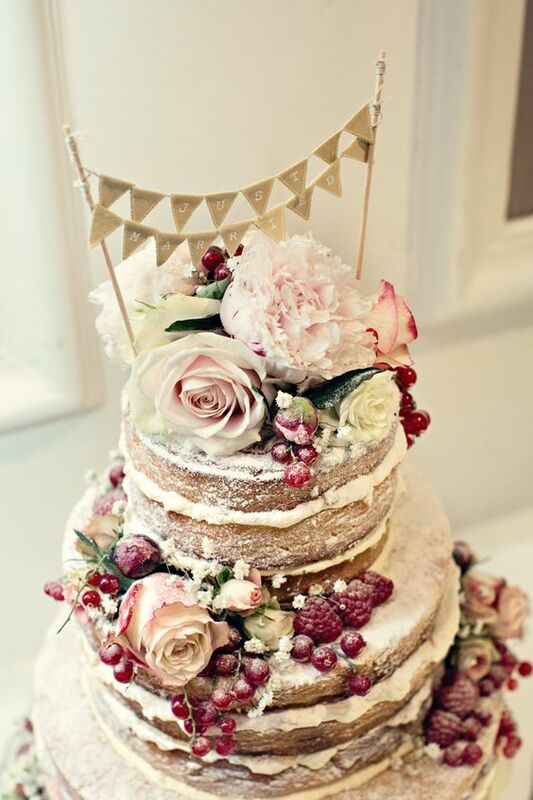 Enjoy, and take a moment to send in a picture of your wedding cake so we can post it on our website.